Snap‘s latest earnings results impressed Wall Street, and one analyst says the company is setting up for a Twitter-like reversal of fortune. Twitter shares began bottoming out in early 2017 after falling 80% from their all-time high in 2013. RBC believes Snap could be setting up for a similar trajectory. In the last two years, Twitter shares are up nearly 120%. Watch Snap and Twitter trade live. Snap might be pulling a Twitter, as far as its stock is concerned. 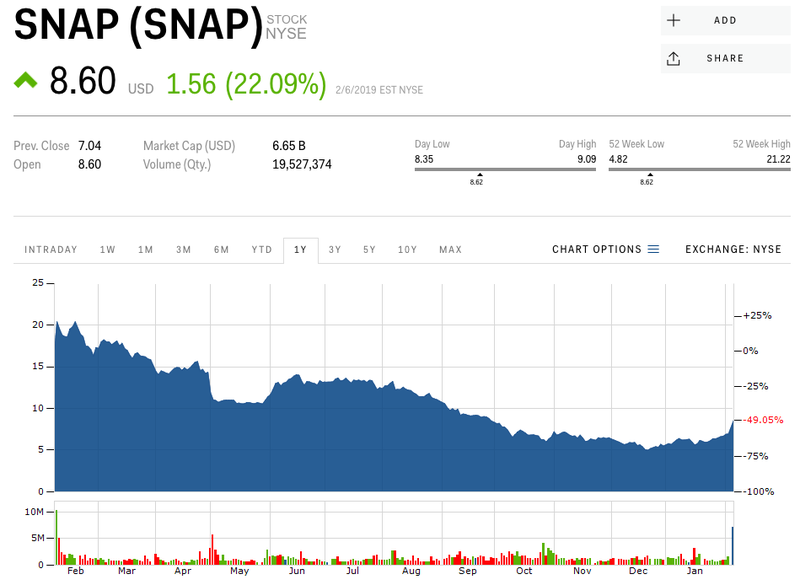 Snap shares soared over 20% Wednesday as investors digested the latest results, and a handful of Wall Street analysts said the beaten-down stock has appeared to turn a corner. 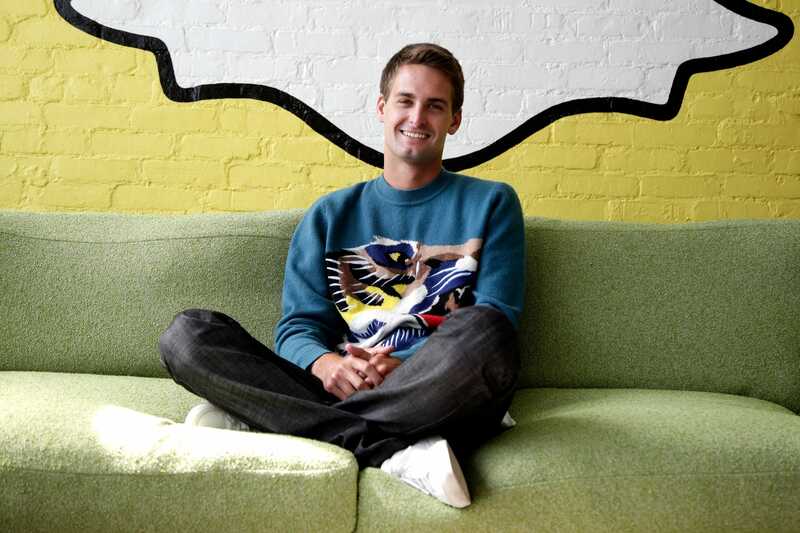 The Snapchat app’s daily active user base — a critical measure of the platform’s growth — stabilized in the fourth-quarter after two straight declines. Twitter, meanwhile, endured a similar pattern several years ago. Shares began bottoming out in early 2017 after plunging 80% from their 2013 record high amid waning user growth and a string of executive departures — not unlike Snap’s recent turmoil. It has soared nearly 120% over the past two years. Additionally, Mahaney noted that Twitter is now trading at a similar valuation as Snap and has similar revenue growth, but with materially positive earnings before interest, tax, depreciation and amortization, and free cash flow. That stands in contrast to Snap, which just posted a loss for the fourth-quarter. If this kind of forecast sounds familiar, that’s because analysts hoped for a similar turnaround and inflection point for the stock last quarter. Mahaney has a “sector perform” rating and $10 price target — 16% above where shares settled on Wednesday.